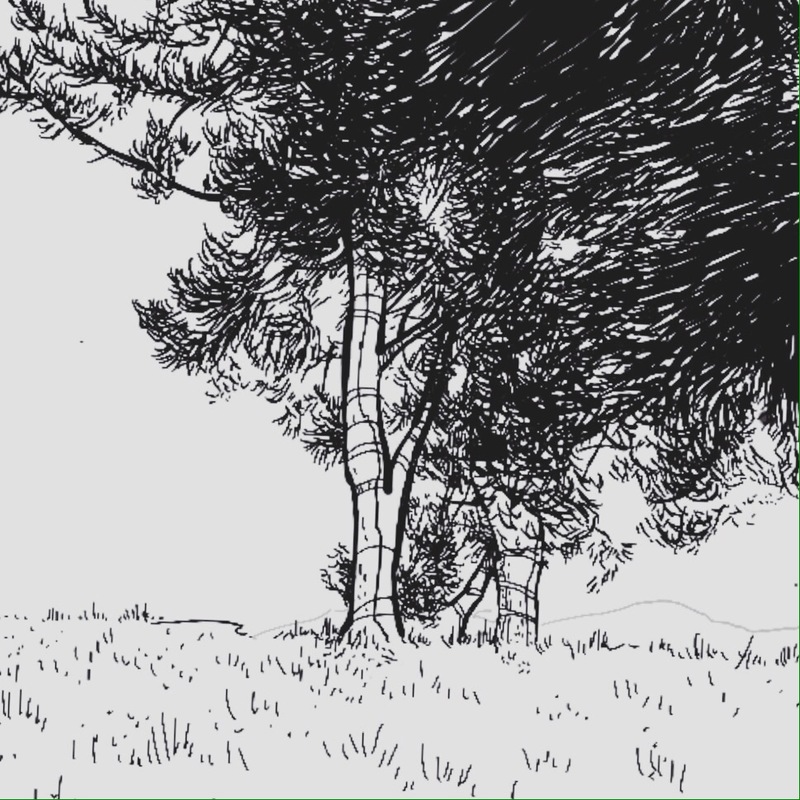 I was doodling away the other day, and it occurred to me quite how much my trees resemble those in Bill Watterson’s artwork. This isn’t something I’d consciously tried to achieve. I grew up reading Calvin and Hobbes and I guess that somewhere in my mind I’d filed away those curves and now they’ve become my go to markmaking for those big branchy badboys. I personally believe that one of the most important parts of learning to draw, and particularly in developing your own style, is to look at the work of other artists. Now I don’t mean copying like for like, but by finding out how other artists represent something, you’ll be better informed when it comes to putting pen to paper yourself. Once upon a time I had folders and folders of images saved to my computer- different artists and styles and things that had grabbed my attention- a real mishmash of ideas. And then Pinterest became a thing. Now, it isn’t exactly cutting edge, but it’s a great resource for storing ideas, flicking through for inspiration and avoiding that whole “oh what’s their name” issue that could mean you’d forget an artist forever. So start by making folders of your favourite artists, and when you stumble across someone else’s work you really like then add them too. Soon it’ll be your own nicely ordered treasure chest of inspiration, giving you a whole history of techniques to draw from and forming a great stepping stone on the way to developing your own style.